At Waddle Exteriors we offer top-tier gutter covers to homeowners throughout the Waterloo, Iowa, area. The gutter guards we offer are made with a “rounded nose” design to ensure that all water flows seamlessly from your roof into the gutters without any blockages occurring. 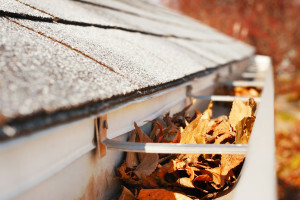 Once installed, a gutter protection system will ensure that you never need to climb on a ladder again to remove unwanted debris such as leaves, twigs, or sticks. Additionally, when you turn to Waddle Exteriors for gutter covers or any other home improvement upgrade at your home, you will be able to experience what it’s like working with a company that places customer service at the forefront of our business. This begins with a complimentary consultation in which one of our representatives will assist you with making the right choice for your project. Afterwards, you will be provided with a no-pressure quote. When it comes time for the installation, you can rest assured everything will be installed correctly the first time because we only utilize factory-trained and –certified installers. And, if anything comes up down the road after your installation we also offer a 100 percent satisfaction guarantee. For more information about the gutter covers we offer to homeowners in Waterloo, IA, and the surrounding areas, contact Waddle Exteriors today. When you do, make sure to ask about the financing options that we offer to all qualifying homeowners.